Hey Hampton Art fans, today I have a fun card to share that mixes a fun way to use paper strips and some great Hampton Art stamps. I started by cutting 1/2 “ strips of patterned paper from the KI Memories Autumn Flowers paper pad. I used a few different patterns, mixing the different patterns and colors. Once I had all the strips cut, I wove the strips and adding some stitching to a few of the rows for texture. I then grabbed by Bella Blvd. 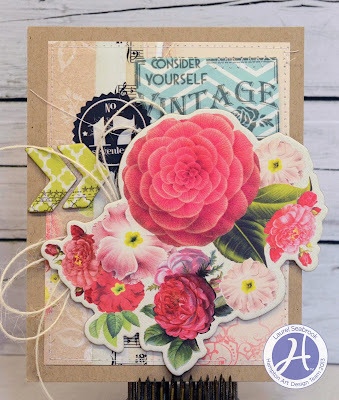 Stamps and stamped some flower images, along with the sentiment! One of my favorite things to do to create a card, is by layering simple shapes. I find that using 6x6 paper pads makes it very easy to do just this! I grabbed my new KI Memories Argyle paper pad and got to work. I punched circles in varying sizes and then added some machine stitching on them and even around the edge where I placed them on the card. Good morning everyone! Today, I wanted to share a card I made using 2 pieces of paper and some fun Hampton Art stamps for Jillibean Soup. I used 2 papers from the KI Memories Berry Blast paper pad and did a little fussy cutting. I trimmed out some of the leaves and created a flower shape, adding a Jillibean Soup Stampables wood button. 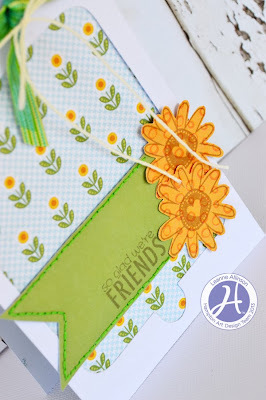 Next, I stamped my sentiment onto a pennant shape and finished off the card with a few more flower shapes and added them to the card. Here is another card using the KI Memories “Metro Garden” 6x6 paper pad. 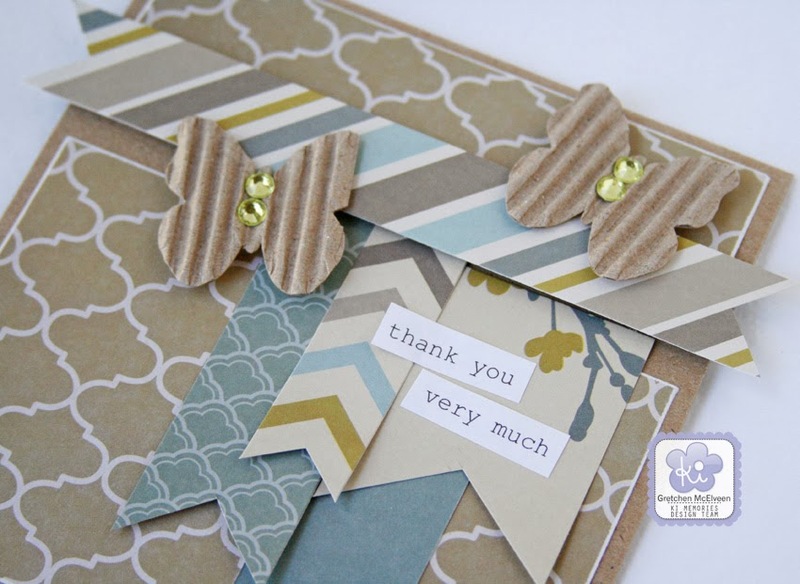 And again I mixed in some corrugated butterflies from Jillibean Soup since they go so well with this paper line. 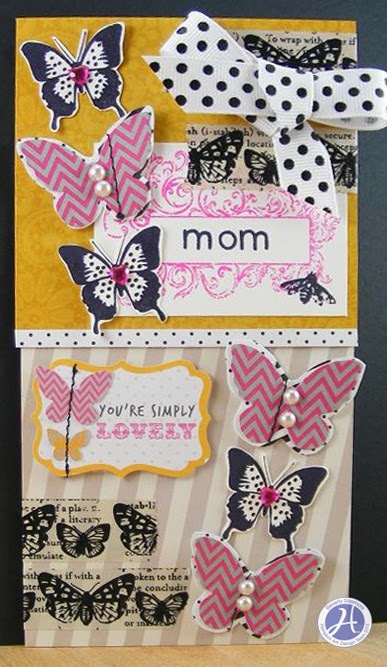 I adhered the butterflies with foam adhesive to add dimension to the card and embellished the butterflies with a little bling. Thanks for looking! Hi there! Gretchen here with a sweet & simple card to share with you today. I paired some Jillibean Soup corrugated words with KI Memories patterned paper to make this card. 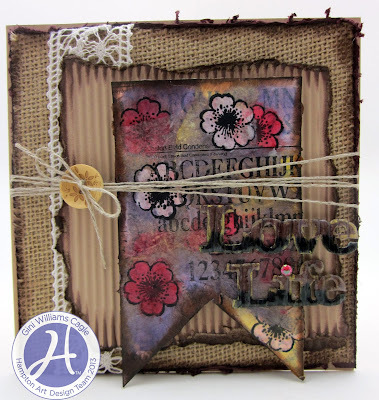 I love the colors in the KI “Autumn Flowers” paper pad and they mix well with the corrugated words that used as the sentiment. I punched the hearts out of the same paper pack to embellish the card. Easy! Hi, it's Gini, here with another Hampton Art video. Today we are going to make a shabby/romantic tag fit for fall using some of my favorite Hampton Art stamps. 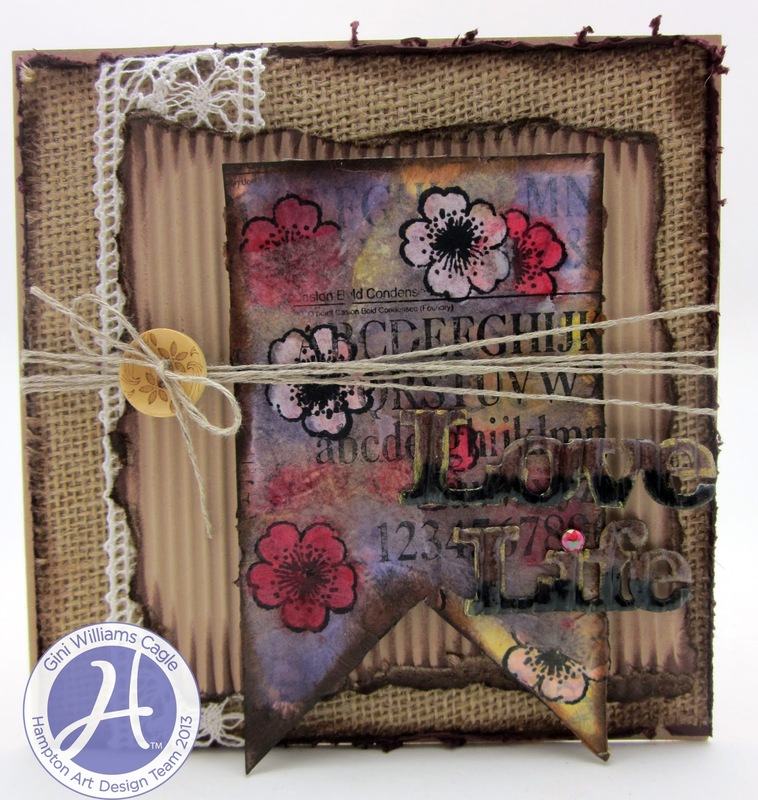 This video will also show you just how different your stamps can look when used with various media. So, I hope you will join me for some fun in the studio! 1. 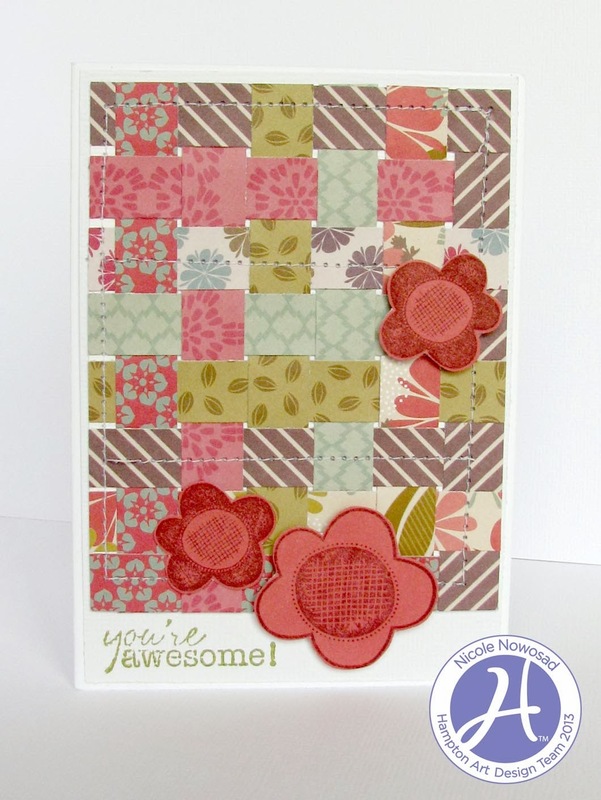 Add a piece of coordinating cardstock to base of card under top scalloped flap. 2. 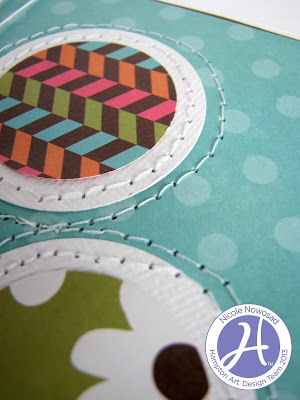 Add a piece of patterned paper to top of card. 3. 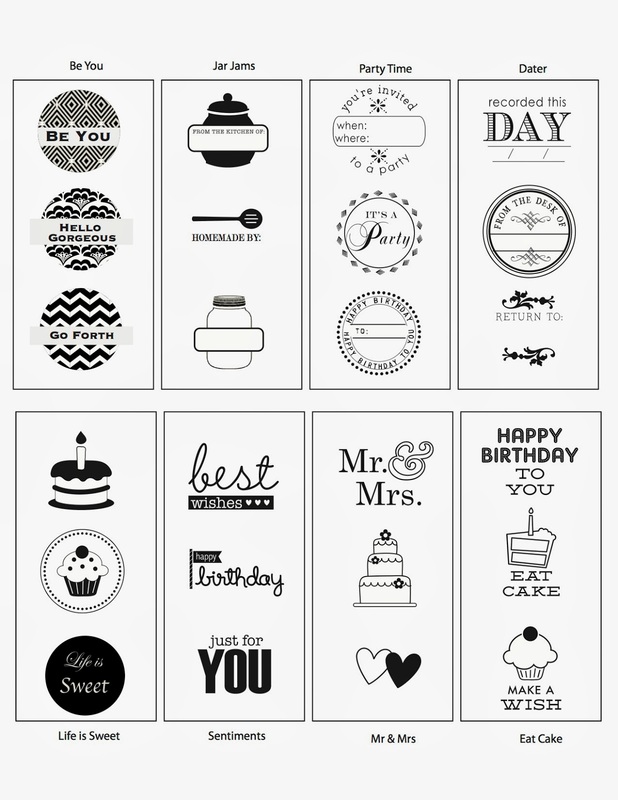 Apply small square of white cardstock under frame sticker and adhere to card. 4. Wrap twine around a couple times and tie. 6. Apply bird sticker with adhesive dot. Hi there! Gretchen here and I’ve got an easy card to share with you today. Well it’s easy as long as you don’t mind doing a little fussy cutting! I used paper from the KI Memories “Metro Garden” 6x6 paper pad to make this card. All the flowers I cut out of 2 different sheets from that paper pad. 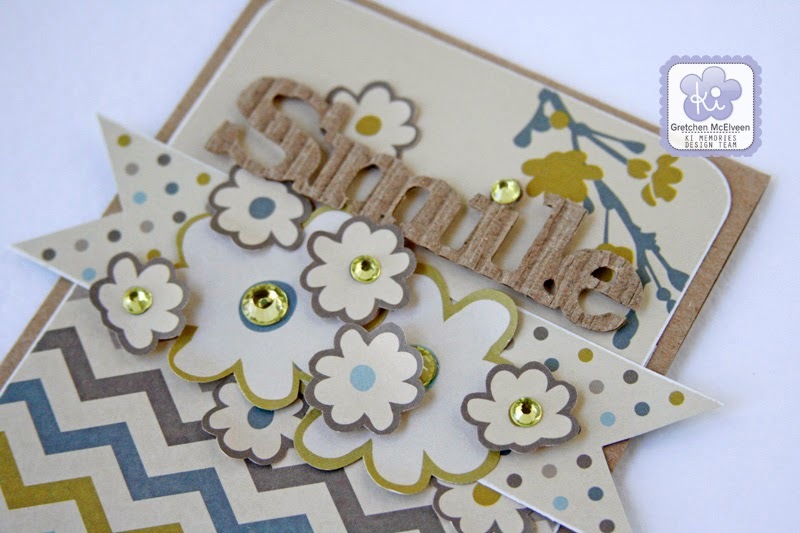 I added a little bling to the center of some of the flowers to add a bit of sparkle to the card. The “Metro Garden” papers coordinate very well with the cool corrugated shapes from Jillibean Soup so I used the “Smile” as the sentiment here. 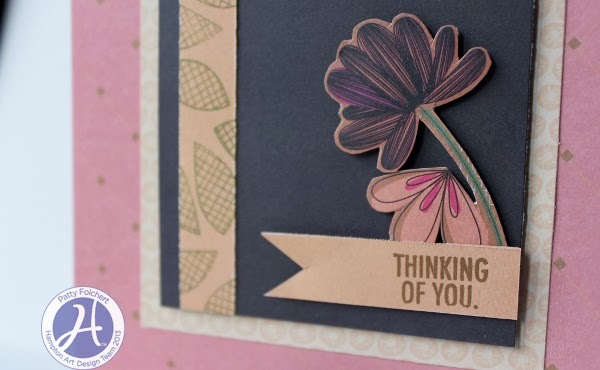 A quick and simple everyday Thinking of You card is what I have to share today. 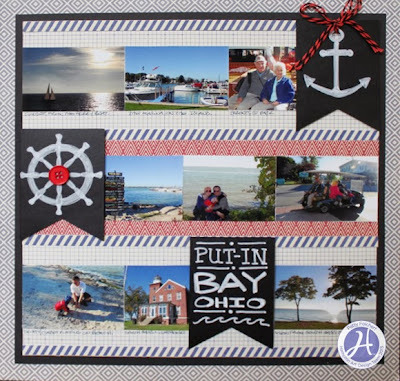 All of the papers come from KI Memories 6x6 pads in a subtle contrast color palette. The stamps are courtesy of Hampton Art/Bella Blvd. Sand and Surf collection using the leaf and the sentiment. 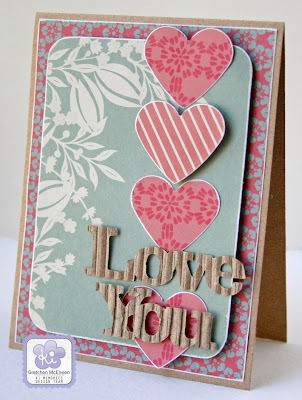 Just as I promised, a quick, simple and easy card- great combination right? 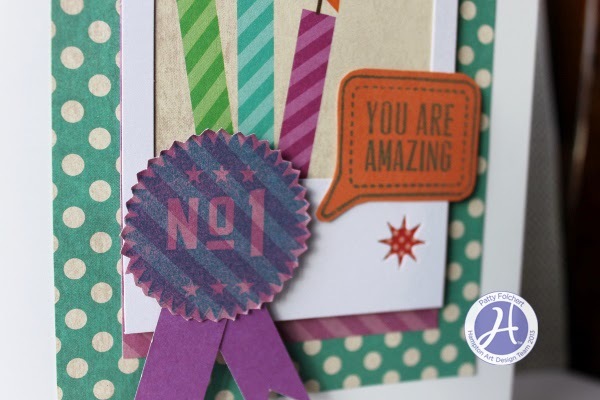 Birthday greetings are on the agenda today, here is a fun birthday card made using KI Memories Paper, Jillibean Soup Stampables Frame and Hampton Art/Echo Park Scoot Stamps. A playful birthday card perfect for anyone on your list! designer notes: Add detail to your cards with hand stitching to create a border around the sentiment. Stamp flower images onto coordinating patterned paper to bring a pop of colour out from your back ground paper. 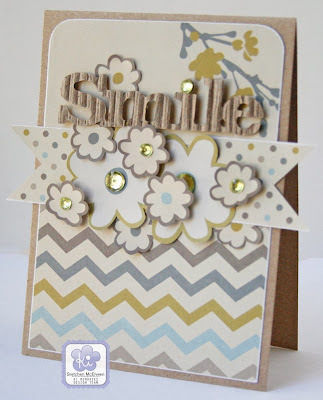 designer notes: To enhance a monochromatic card, choose ink & mist in a similar colour palette to the patterned papers. Apply the stamped images directly to the patterned paper and add texture with simple machine stitched rows. Hi! Gretchen here with a layout to share. I combined the KI Memories Color Crush 12x12 paper pack and 6x6 paper pad to make this layout. I used some pretty bold patterned papers so I backed the picture and journaling on black cardstock to keep everything from getting lost in the patterned paper. I used the Jillibean Soup White Frames as the background for my journaling. I dug up some older KI glitter alphas to make the fun title. There is a good reason I hoard this stuff! I finished off the layout with a few flowers cut out of patterned paper and a bit of bakery twine. Thanks for looking! Its Dana here with a video tutorial that features the Emboss Resist technique! I hope you like it, it’s my first video! Stamps: Hampton Art – Jillibean Soup – Cilled Cucumber Soup. 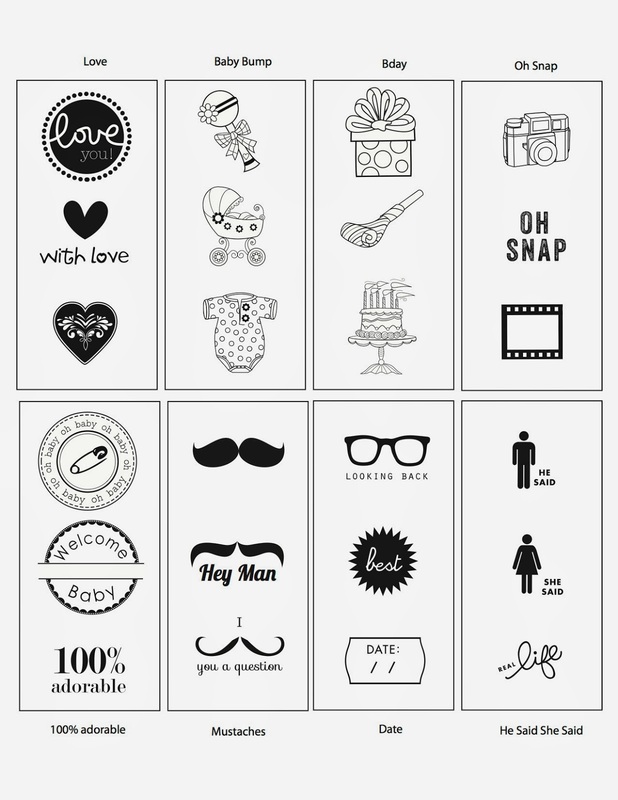 Echo Park Paper Co. – Oh, Snap. Ink: Colorbox – Frost White. Studio G – Pink/Purple. Watermark Ink. I love Mini Cards! I love to add them to a gift card for a personal touch to an impersonal gift! These three were made with one of the KI Color Story Page Kits along with the mini cards & envelopes. Hi, it's Gini and I am so excited to tell you that I will be sharing technique videos with you for Hampton Art! I've had so much fun creating these, and I hope you will learn some great new techniques that you can use. If there are any specific tutorials you would like to see, just leave a comment here, and I will see what I can come up with. 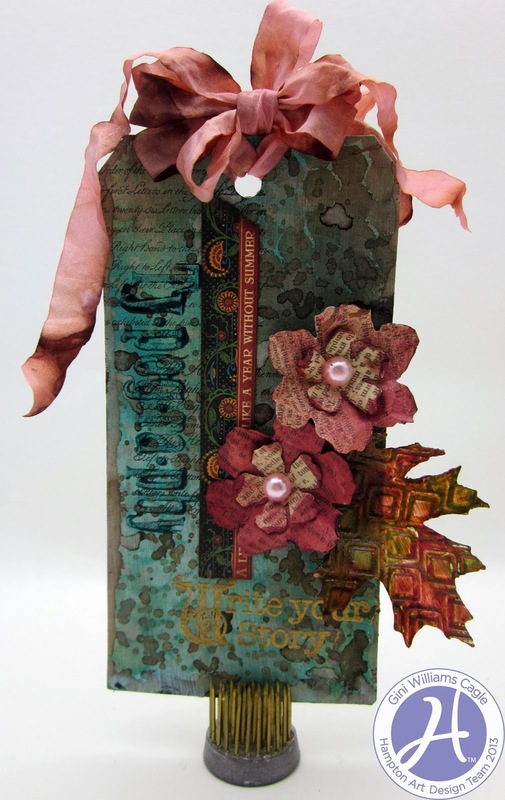 Today's card is an easy to do mixed media card. We will be creating a stamped tissue paper background... So pull out your favorite Hampton Art stamps, and lets get going! Thanks for stopping by! Have fun stamping. 1. Trim patterned papers for a 4x8 inch card base as shown. and adhere to upper portion of patterned paper. Stamp "mom"
with black ink in lower right corner. along with patterned paper butterflies as shown. 4. Adhere four strips of washi tape to top right and bottom left. 5. Adhere sticker sentiment with foam tape. 6. Secure polka dot bow to top right corner. 7. Adhere pearls and heart rhinestones on butterflies. There are very few on the planet more deserving of a handmade card than our dedicated men and women of the armed forces. 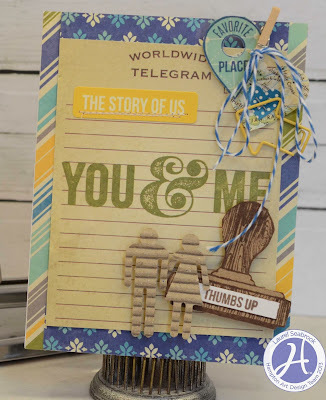 With some help from the patriotic All American collection of Bella Boulevard and her Sand and Surf stamps this card came together in a snap. 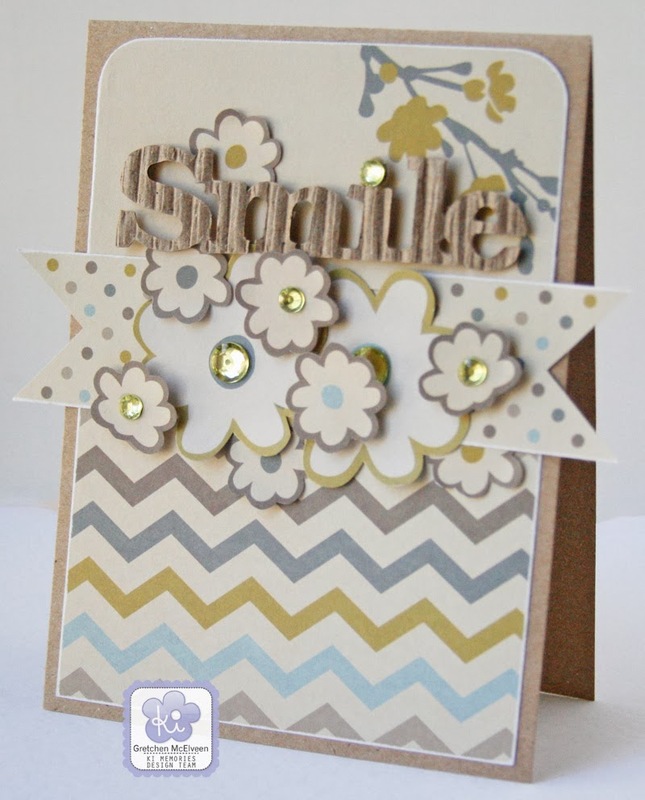 The card base was cut from the Bella Boulevard United We Stand Paper. Then I cut out the “Remember” Cute Cut from the Borders & Cute Cuts paper as the main mat and added the stamped arrows in navy ink. 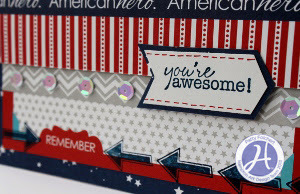 Then I adhered it to the card front and began layering a few border strips leaving the American hero one and red stripes attached together and adhered with 3D pop dots. Then I cut out the grey chevron border strip and added it below the other two as shown. 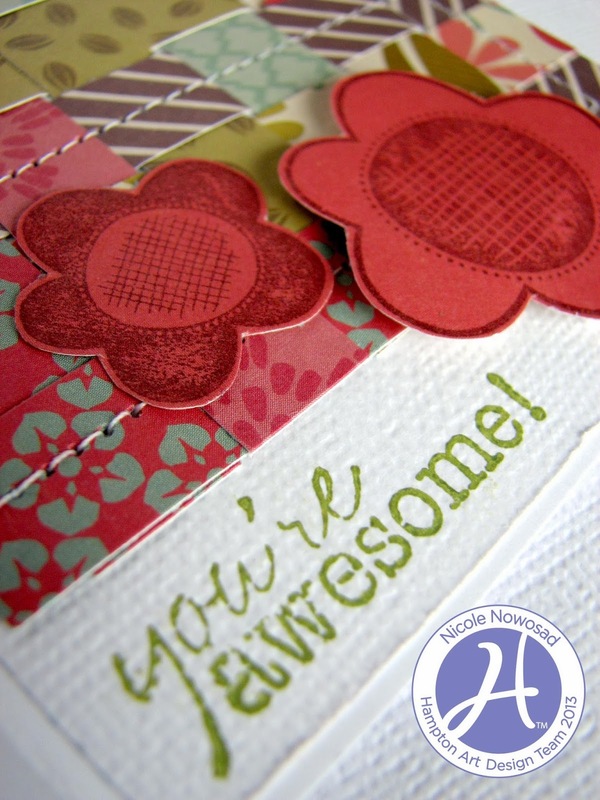 Using the navy ink and white cardstock I then stamped the sentiment “you’re awesome” and set aside to dry. At that point I added some bling in the form of white sequins on the chevron strip as shown with glue dots. I made the American flag from the “United We Stand” paper cutting it out and mounting it onto a blue pearl topped straight pin. The other flag was a Bella Boulevard patriotic flag, both were inserted into a foam dot in the upper center of the card as shown. Then I cut the sentiment into the chevron arrow shape and layered it onto the navy paper and cut it out. Using a red marker I added the faux stitching on the edges and then attached the sentiment with foam dots to the card front on the right side. So set aside some time to create a card for an American hero in your life, or for one that is a complete stranger. 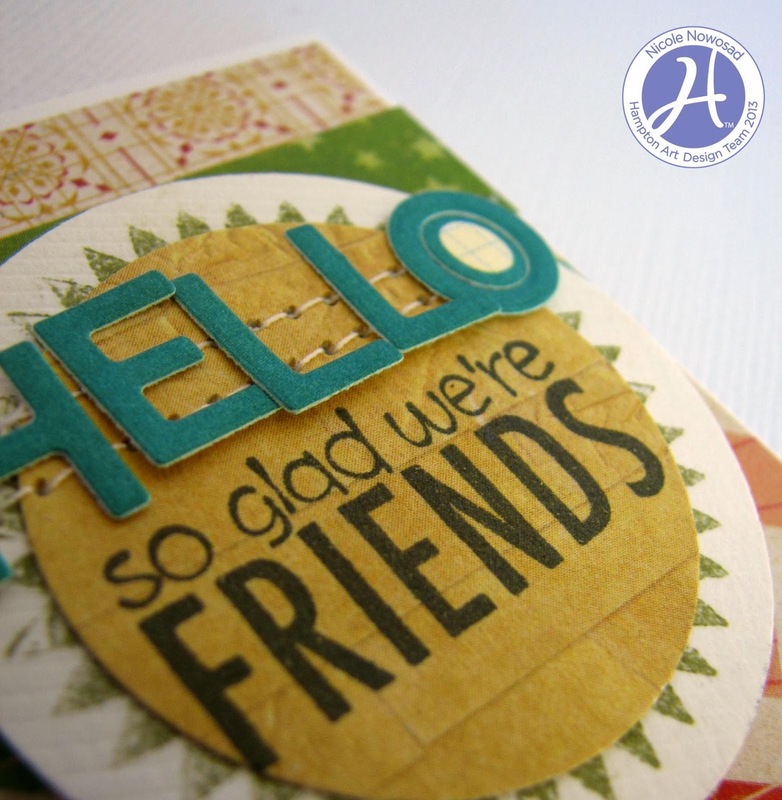 There are several organizations that make cards just for our military and send them all over the world. They do it for the express purpose of sharing support and expressing gratitude for the difficult jobs that they take on every day to protect this great nation. Some of those organizations even create cards for the military workers to send back home to their families for celebratory events, great idea right! I am listing the organization I am familiar with below in case you’re interested in joining the ranks of card makers for our armed forces. Hello everyone! Today I have a one layer CAS card for you today. 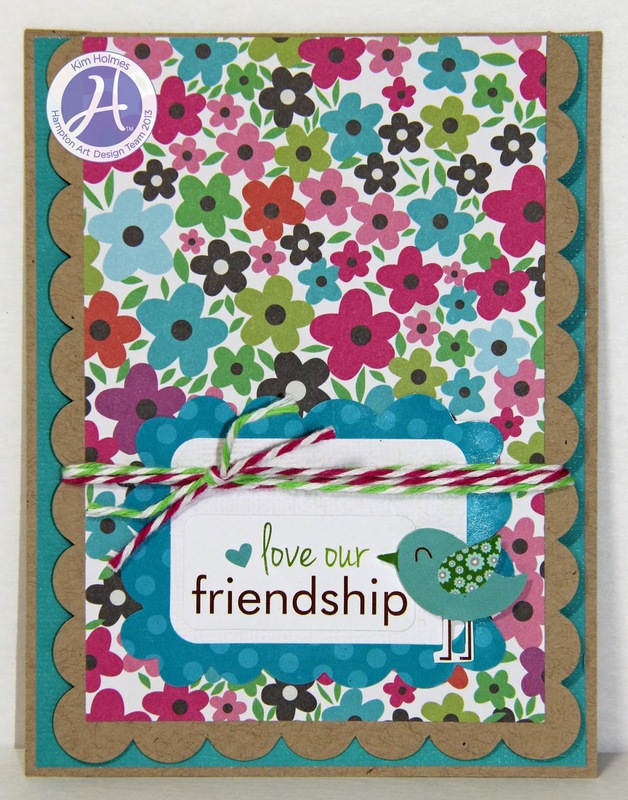 This card is perfect for mailing! Make cardbase from watercolor paper. Stamp one mouse on cardbase and on post it note. Cut out post it note mouse and place on top of mouse on cardbase. Stamp other mice on each side of original mouse. Remove post it note mask. Color mice with distress markers. Good morning everyone! 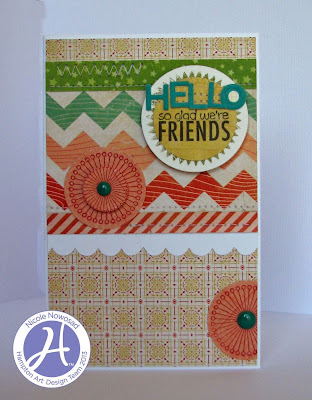 I am happy to be back to share fun card, mixing Hampton Art stamps from different lines. I combined stamps from Echo Park, Bella Blvd and Jillibean Soup for this card today. 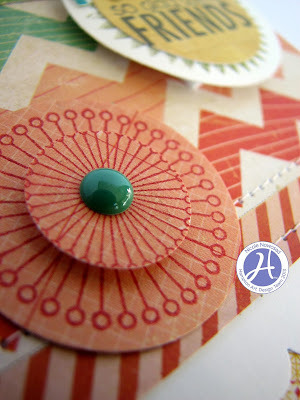 After I layered some patterned paper onto the front of my card base, I got to stamping. 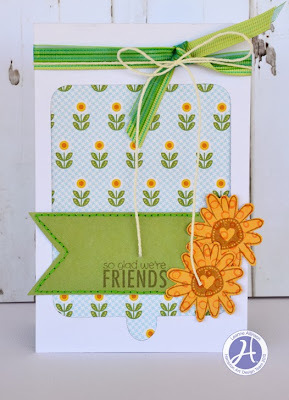 I stamped the Jilllibean flower shape onto co-ordinating paper and ink. I stamped the same image twice and then punched them out of the page with 2 different sized punches, layering them together with dimensional foam adhesive. To make the sentiment, I stamped the starburst shape onto cardstock and then the sentiment onto a piece of patterned paper – I punched it out and added some Jillibean Soup Alphabeans to the title. Hello! It's Kim here today with a monochromatic card for you. I like to play with color, but I love how cards look created with a single color palette in all different shades...this time a monochromatic blue. Step #1 - Stamp butterfly with black ink three times and cut out. Step #2 - Mount all three butterflies onto rectangles of patterned paper 2x2.5 with a dab of glue in the center and pop dots on the wings. This will create some dimension on your card. Step #3 - Using a piercing tool and foam mat, punch holes around outside edge of rectangles and distress edges. Then add antennae with a black pen. 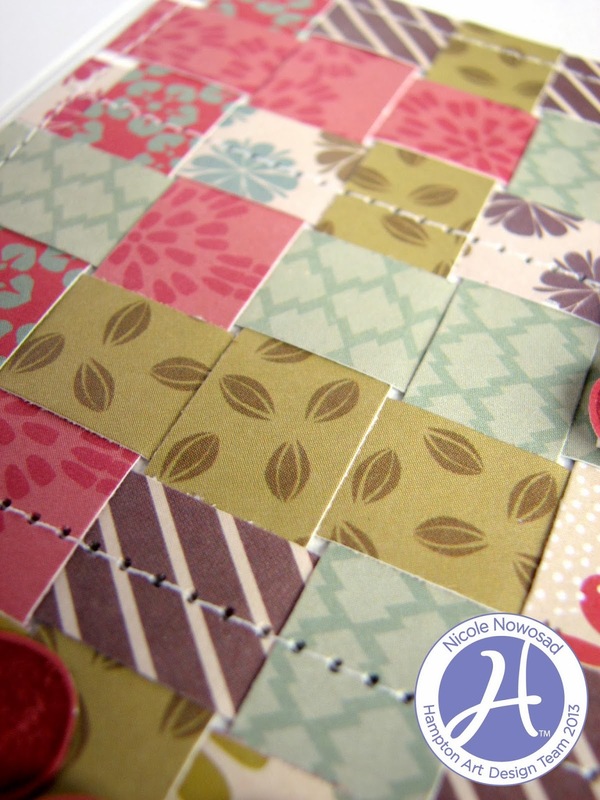 Step #4 - Then glue all three rectangles onto card base. 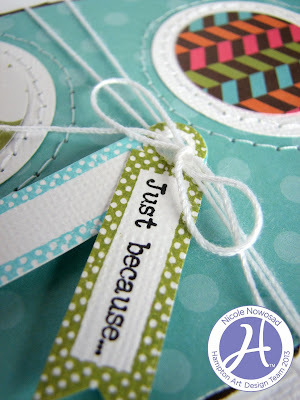 Step#5 - Stamp arrow and sentiment with black ink. Step #6 - Wrap twine to complete card. I am a sucker for anything school or office supply themed and thus I really love this new Cold Cucumber Soup stamp set by Jillibean Soup and couldn’t wait to put it to good use! Hello!! Today I have a great way to display your Christmas memories! 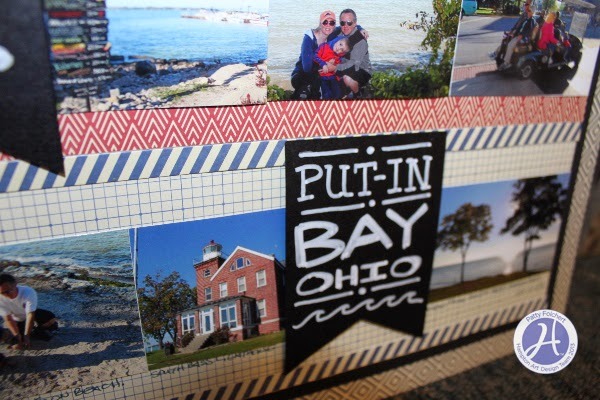 A blank canvas album is a perfect way to personalize for your Christmas photos!! Stamp a pattern with ornaments and the number 25. Adhere Christmas flashcard and Merry die cut. Adhere Family and ornament with foam dot. Only adhere ornament at the top, so photo can slip behind it. Adhere snowflake tree and sentiment pieces to album. Adhere Dec 25 with foam tape. Adhere star and Christmas Countdown to die cut circle. Adhere merry tag to star shape with glitter brad. 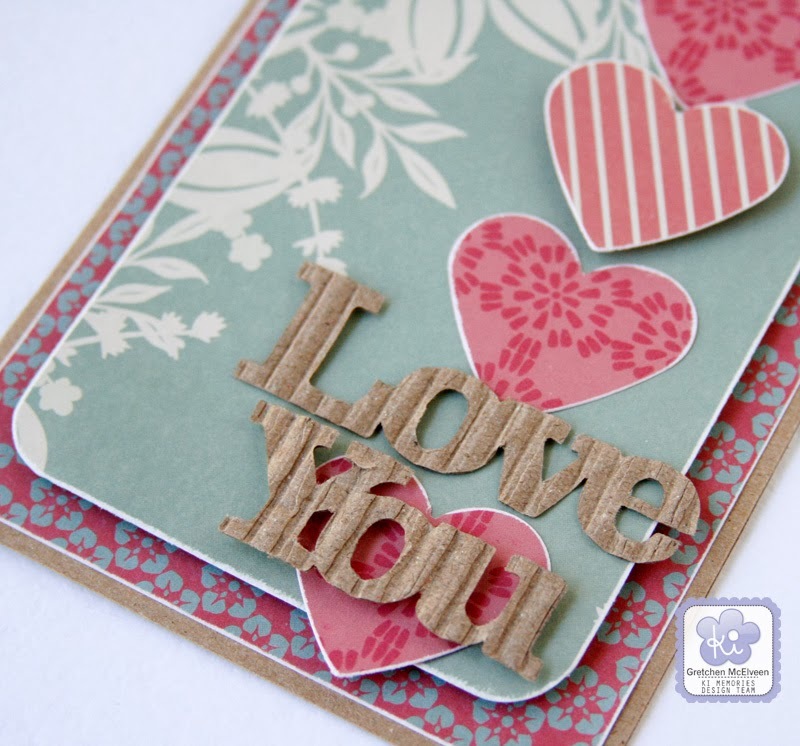 Adhere heart die cut to star shape. Adhere star shape to album with foam tape. Adhere girl elf with foam tape. 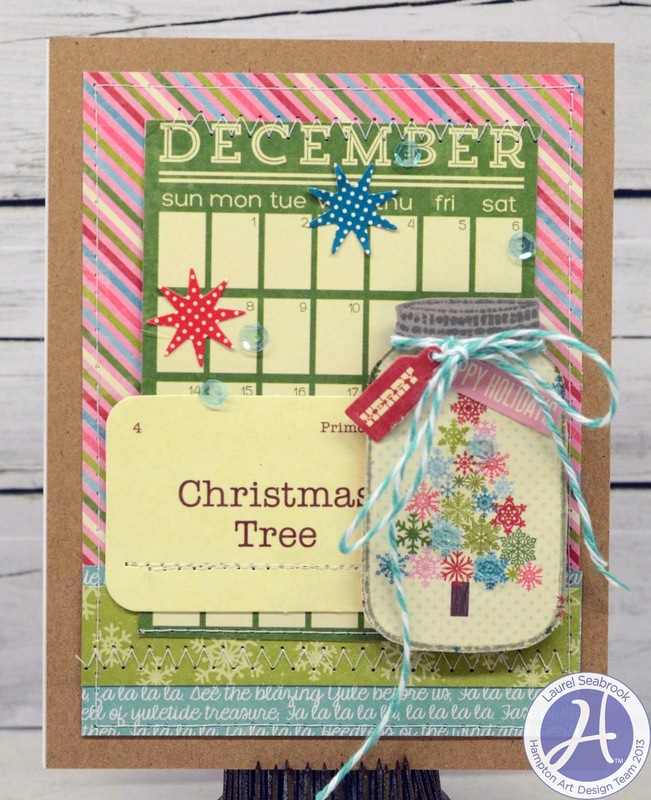 Adhere December flashcard with foam tape. Adhere December die cut word, believe and stars die cuts. NEW i-press Self Inking Stamp release + CONTEST!!! 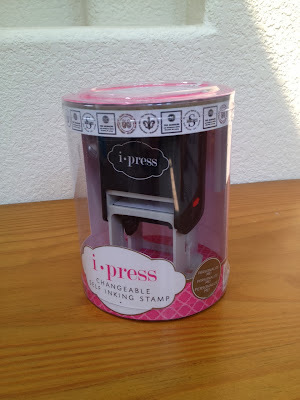 Announcing the NEW i-press Self Inking Stamp release + CONTEST!!! November 1st, Hampton Art released a new product called the i-press. This is a Self Inking Stamp that you can purchase at Michael's stores. The i-press comes with a black ink pad and an all occasion stamp. 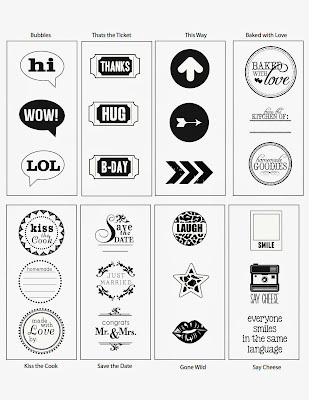 You can purchase additional stamp set sets and ink pads at Michaels. The ink pads and stamps are interchangeable. 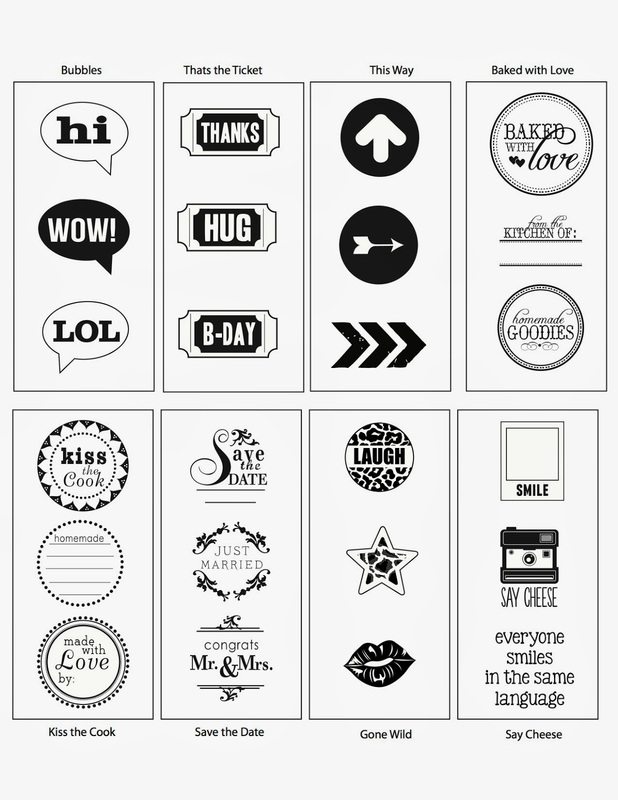 Below are some of the different options for ink pads and stamp sets. 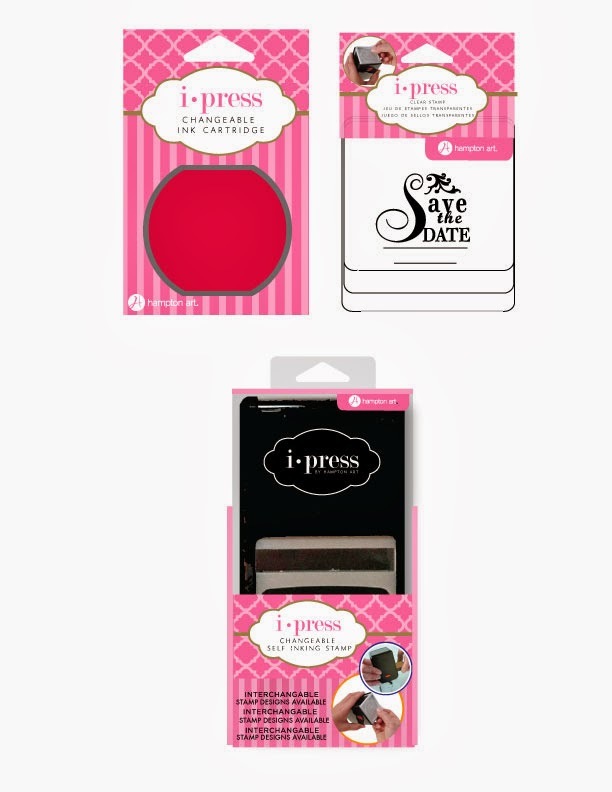 There is also a customizable i-press. 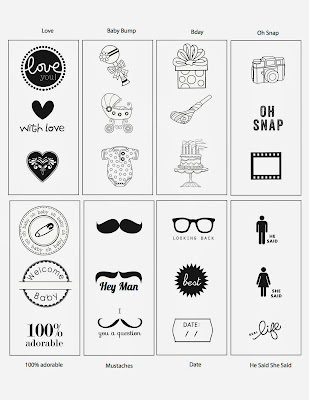 For $45.99 you will get an i-press self-inking machine, black ink pad and an all occasion image. There is a code in the package that will allow you to go online and order your customized stamp. 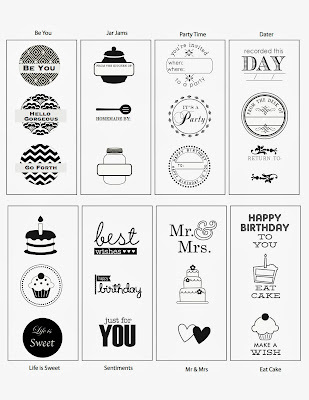 You will receive your personalized stamp set with in 2 weeks, delivered to your home. Now for the contest! To kick off this exciting new product, Hampton Art would love to see what you can create with your i-press! Starting today, November 4th, 2013 and running until December 31st, 2013 you have a chance to win one of 3 great prizes! 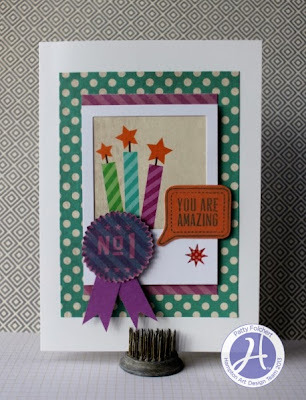 Simply create a card, project, layout, anything using your i-press and email us a picture of your project along with your Name, address, phone number, email address and country. We will select and 1st, 2nd and 3rd place winner. We will contact the winners in January and we ask that you allow us to share what you created. This contest is open to anyone that can get their hands on the i-press and want to create! Please email any questions and your entries to hamptonartstamps@gmail.com. Only 1 entry per person.